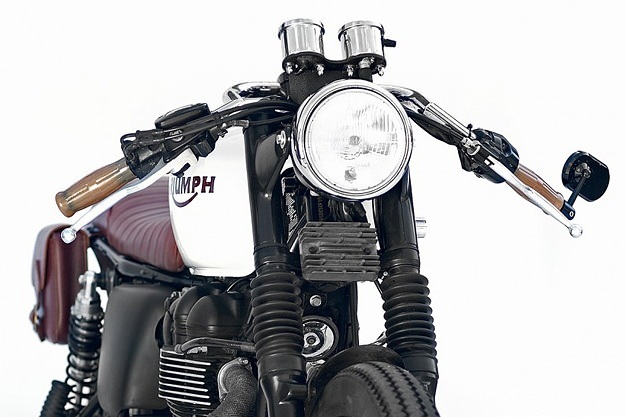 How long does it take to create a custom motorcycle? If a bike is commissioned from a builder, it’s usually constructed over several weeks. But most customs take months or even years: they’re gradually modified by their owners, drifting away from stock spec and into something more individual. 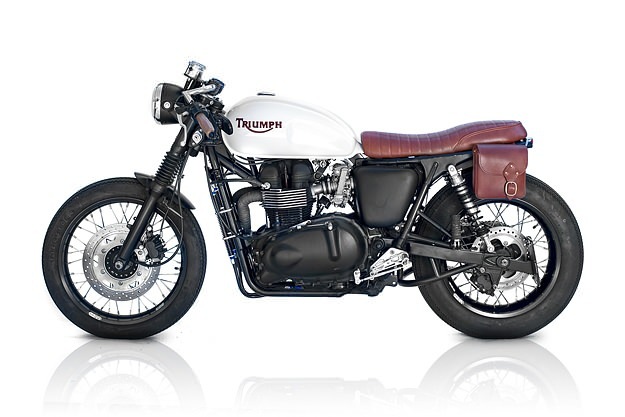 Like this Triumph Bonneville 900 from the west coast of the USA, nicknamed ‘The Inlander’. Over the years, it’s been subtly upgraded in all areas, from performance to looks. (Most recently it’s been worked on by Deus, which explains the high quality of finish.) 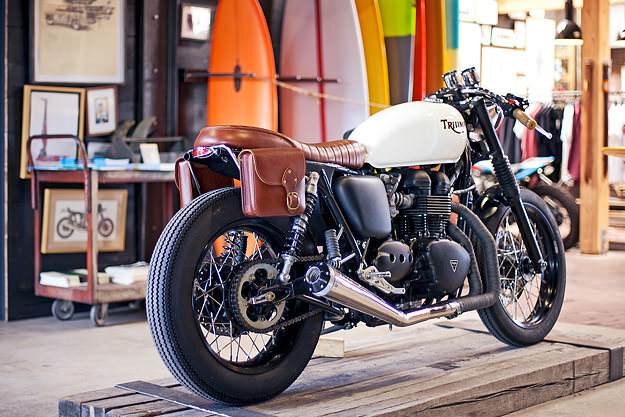 The owner is a huge motorcycle aficionado, and the Bonneville is his favorite bike and everyday ride. The Bonneville now has the looks to match its power: the engine is running a big bore kit, plus forged high compression pistons, high lift cams, a four-angle valve job, and FCR carburetion. 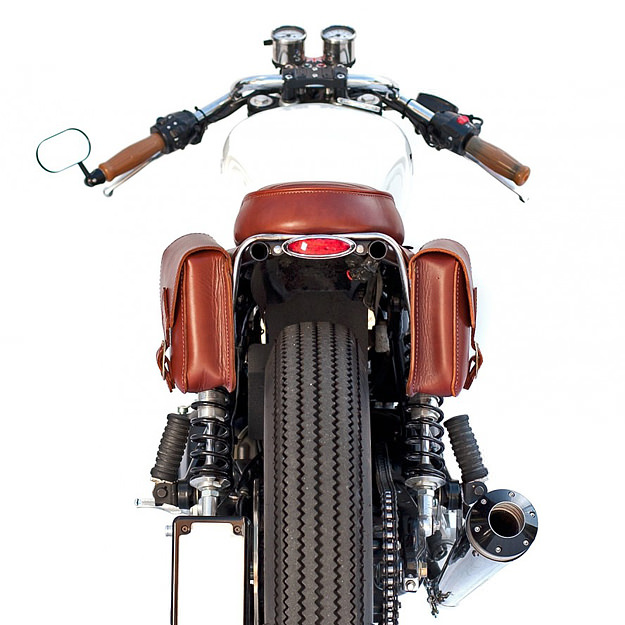 Deus finished the job off with a two-into-one exhaust, compact gauges, and new paint. And it’s a cracker. 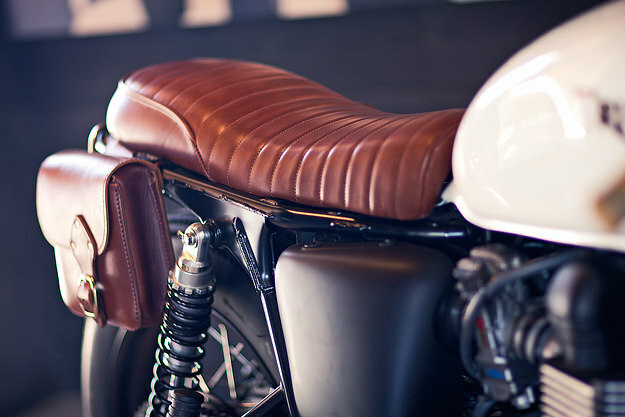 Head over to the Deus USA website for more quality images.